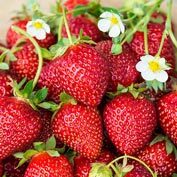 Ozark Beauty Strawberry | Gurney's Seed & Nursery Co. This strawberry produced over 12,000 quarts per acre in trials! That's a lot of berries. 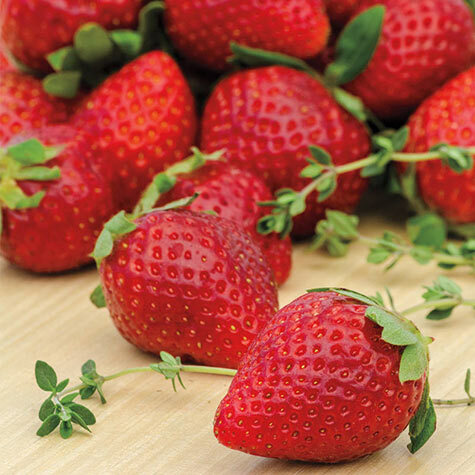 But Ozark Beauty Strawberry doesn't just produce lots of fruit—the up to 4-inch, bright red berries are delicious with sugar-sweet taste and a temptingly juicy texture. 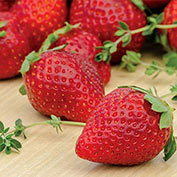 This everbearing strawberry delivers a large initial harvest and then bears a steady crop throughout the season. The vigorous plants are easy to grow and resistant to leaf spot and leave scorch. Self-pollinating. Bareroot. Did you know… this strawberry produces plenty of fruit for your favorite jams, jellies and pies—but are also almost irresistible fresh from the garden! Comments: Our favorite, popular everbearer is famous for its large yields of bright red, unusually large berries. Ozark Beauty plants set delicious fruit from June through September. Everbearing strawberries deliver fruit all Summer, with a large initial harvest and a steady crop the rest of the season. Like Junebearers, they are very easy to grow and will do well most anywhere. 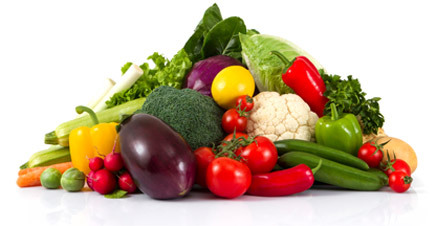 Plant both Junebearers and Everbearers for a constant supply of fresh fruit. High sugar content. Thrives in any soil. 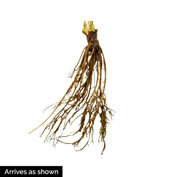 Unusually vigorous plants with a deep root system. Resistant to leaf spot and leaf scorch. Especially good for the North and in Southern mountain states.